Does this leaked image show Amazon&apos;s first smartphone? According to reports, Amazon is a whole month away from unveiling its own-brand smartphone device. But today, after a string of leaked photos and rumours, BGR has got its hands on what appears to be the first full photo of the device. BGR claims the photo was only intended to be shared internally amongst Amazon’s design team, but as with most things in this day and age, it found its way onto the internet instead. As you can see from the photo, it’s a pretty standard handset with curved edges, a rectangular home button on the front and a camera on the back. It also looks like it’s got soft-touch edges, which will be handy for those of us who are prone to dropping their most expensive gadgets. 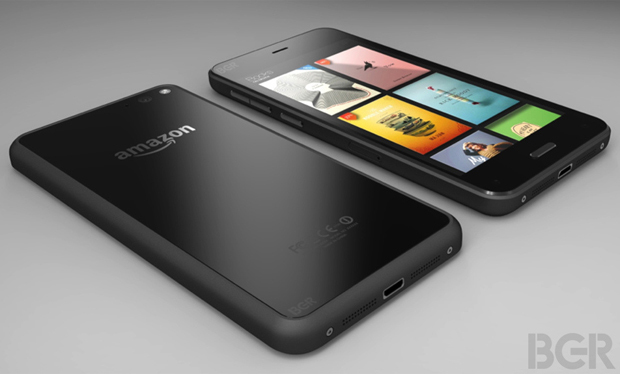 What do you think of the long-awaited Amazon phone? Your drawings can now come to life with this 3D pen!